“What in the world is a container shipping company doing in the social media? !” We have been asked this question repeatedly since we announced our presence on Facebook, Twitter, LinkedIn and Instagram almost a year and a half ago. The short answer is: because it adds value to the bottom line. Had this not been the case, we would (almost) not have any reason to be there. Until now, social media have primarily been the domain of our communication department, but we are currently moving into the second phase of our strategy which will involve incorporating them into the actual business. In order to determine what role social media should play in our business in the long term, we recently completed a study. In addition to evaluating our current value creation, this study also outlines our next step. 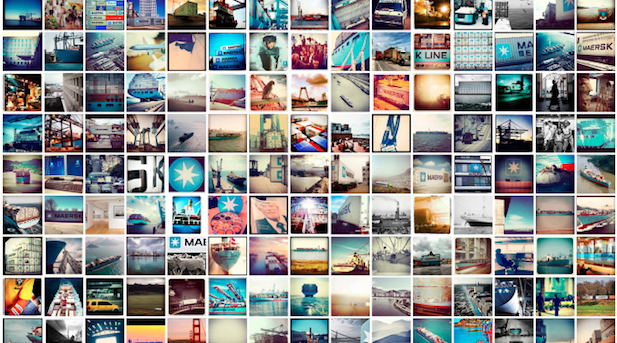 The cover of Maersk Line’s Social Media Study 2012 entitled “The Next Step: How to unlock the full potential of social media”. Over the next few weeks, I will attempt to extract the key aspects of the study in a number of blog posts. But before we get to the study itself, it makes sense to outline what we have done to date, during the first phase of the programme. So that’s what my next post will be about. Wonderful Webpage, Maintain the useful job. Many thanks.